Into the Andromeda Galaxy - "Do not go gentle into that good night"
The Andromeda Galaxy, also known as Messier 31, M31, or NGC 224, is a spiral galaxy approximately 780 kiloparsecs (2.5 million light-years) from Earth, and the nearest major galaxy to the Milky Way. 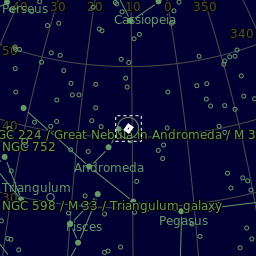 Its name stems from the area of the Earth's sky in which it appears, the constellation of Andromeda. The 2006 observations by the Spitzer Space Telescope revealed that the Andromeda Galaxy contains approximately one trillion stars, more than twice the number of the Milky Way's estimated 200 to 400 billion stars. The Andromeda Galaxy's mass is estimated to be around 1.76 times that of the Milky Way Galaxy (~0.8-1.5×1012 solar masses vs the Milky Way's 8.5×1011 solar masses), though a 2018 study found that the Andromeda Galaxy's mass is roughly the same as the Milky Way's. The Andromeda Galaxy, spanning approximately 220,000 light-years, is the largest galaxy in the Local Group, which is also home to the Triangulum Galaxy and other minor galaxies. This is a combined image of RC10 Atik 383L+ Luminance data and 3 year old CPC800 Hyperstar data using a QHY10 colour CCD. Where the Hyperstar data is of course a much bigger field of view, I was quite surprised the data combined so well. The Colour data was shot from a dark site back in 2014, the Luminance data was acquired in november 2018. I have the RC10 equipped with an Astro-Physics CCDT67 reducer. The image is composed of 2 Hr Luminance data and 1Hr RGB. Total exposure is 3 Hr. I’m planning on gathering 3 or 4 mosaic frame data.